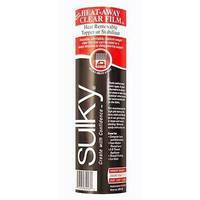 Sulky Heat-Away Clear Film Stabilizer can be used as a topper or stabilizer on any fabric that can withstand iron temperatures of 360-300 degrees (cotton setting). 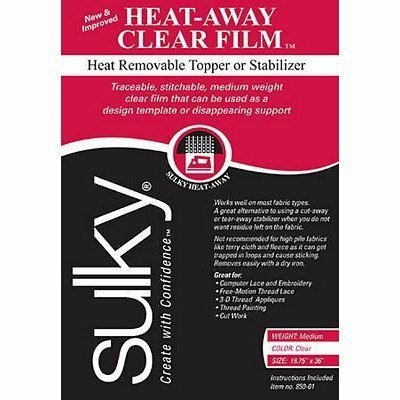 Heat-Away removes easily by pressing with a hot iron until all the film has melted and formed small balls. Then simply brush away the remaining pieces.